Expansion loop capacities of copper tubes type K are indicated in the chart below. Piping should be pre-stressed when anchored to minimize the stress in the system under normal operating conditions. Engineering ToolBox, (2010). Copper Tubes - Expansion Loop Capacity. 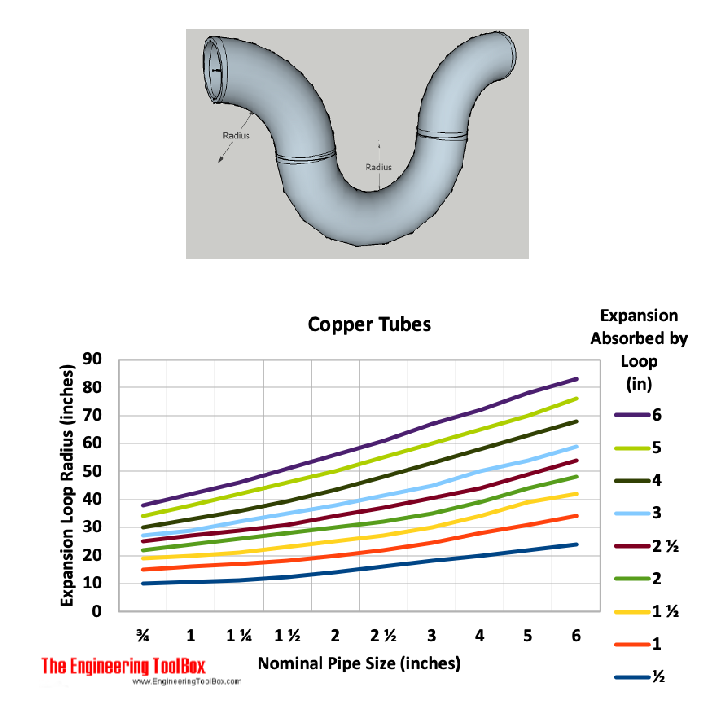 [online] Available at: https://www.engineeringtoolbox.com/copper-tubes-expansion-loops-d_1581.html [Accessed Day Mo. Year].